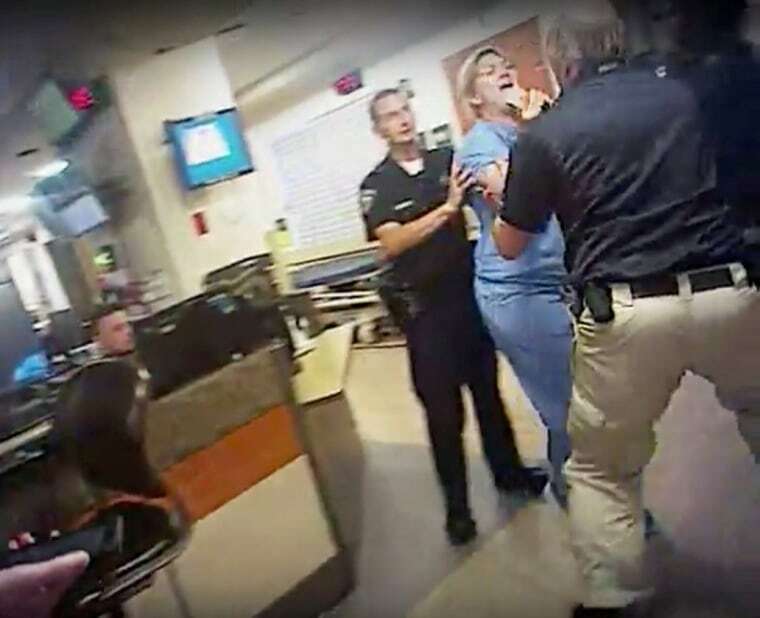 SALT LAKE CITY — An investigation into the rough arrest of a Utah nurse who refused to allow a blood draw on an unconscious patient found evidence that police officers violated department policies, the mayor of Salt Lake City said Wednesday. "The rift this has caused in our city must be healed," the mayor said, citing threats made to 911 dispatchers and to her staff following the arrest. Greg Skordas, a lawyer for Payne, said he disputes some of the conclusions in the report and plans to prepare a response for the police chief. Attorney Ed Brass, who represents Tracy, didn't return messages seeking comment. "These were two seasoned officers who apparently believed they had carte blanche to do exactly what they were doing," lawyer Karra Porter said. The detective who cuffed Wubbels has come under the most scrutiny. However, Porter said she's also concerned about the behavior of Tracy, the supervisor who recommended the arrest and did not release Wubbels after he arrived at the scene to find her in handcuffs. The mayor and police chief have apologized, and the department has updated its policy to match the hospital guidance that Wubbels was following when she refused to allow Payne to draw blood without formal consent or a warrant.